A dive light adds magic and color to the underwater world, giving the diver a great experience and allowing them to see areas that would have otherwise been inaccessible. Even more importantly, they also add an element of safety to the diving experience. While the underwater world can be a sight to behold thanks to the colorful life, the deeper you go, the less light penetrates and the less you see. Unless you have a good dive light, all you’ll see at 30 feet or so is a blue grey shade. A good dive light allows you to see the full color spectrum underwater. But how do you select a good dive light? It all depends on what you’ll use it for. Before selecting a light, it is essential that you understand what you’re going to be using it for. 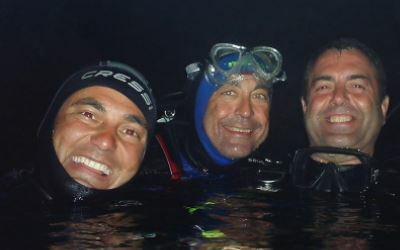 The particular needs of a diver must match the type of light they choose to use. The question of commercial vs. recreational dive lights is eliminated with this consideration. For instance, you would buy a recreational dive light if you plan on using it for daytime diving where you just want to look under rocks and in caverns close to the surface. If you want to do more exploration, especially deeper dives or night dives, you may need a commercial dive light with penetrating beams and a longer battery life. For most divers, LED lights are the best choice, primarily because of their efficiency. LED lights use up less battery power, yet produce a greater light output; therefore, they are the ideal choice for most diving expeditions. Some recreational divers will opt for High Intensity Discharge (HID) technology for shorter, more specialized dives. While there are many reliable dive light brands to choose from, you should always buy a dive light based on your usage. And don’t forget to bring a secondary dive light on your expedition for a little added security.